At RVS we seek to be at the forefront of educational reform. A few of the projects and changes we are currently working on are listed below. We'll keep you posted on progress as it happens. We will begin roll-out with our first Year 9 class commencing in 2019. 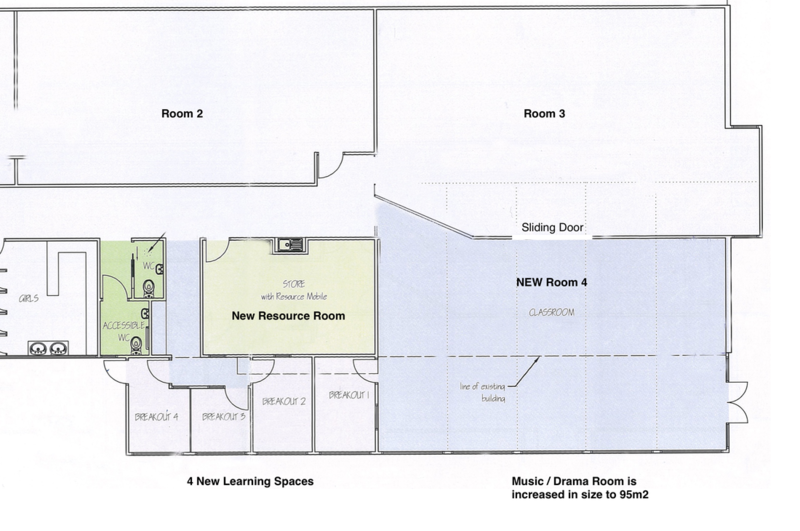 We are excited to bring you news of our new classroom plans. As you will be aware, we are a six teacher school functioning with five classrooms at the moment. The planning process for the 6th classroom began when the roll increase from 120 students to 145 students was given. The Proprietors of Richmond View School have accepted a contractor quote and building will begin hopefully before the start of T4, 2016. The wall of the current Music/Drama Room will be extended toward the car park and other small learning areas will be added, along with a new resource area and an overhaul of Room 3. 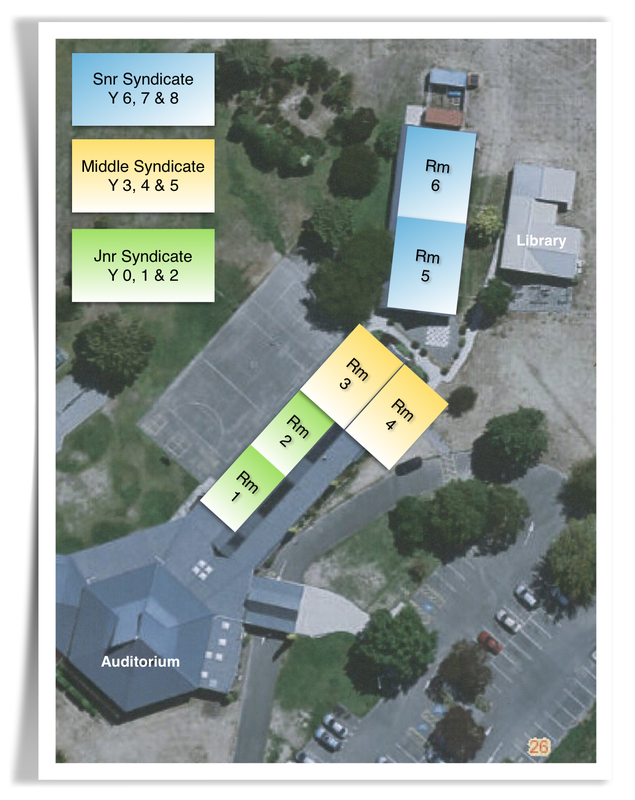 ​Here is a basic floor plan. The new classroom will be over 90m2 which is great. The new small learning spaces will be for Reading Recovery, Early Words, meetings and testing. The space labelled 'Breakout 1' will be used predominantly by the Middle Syndicate. 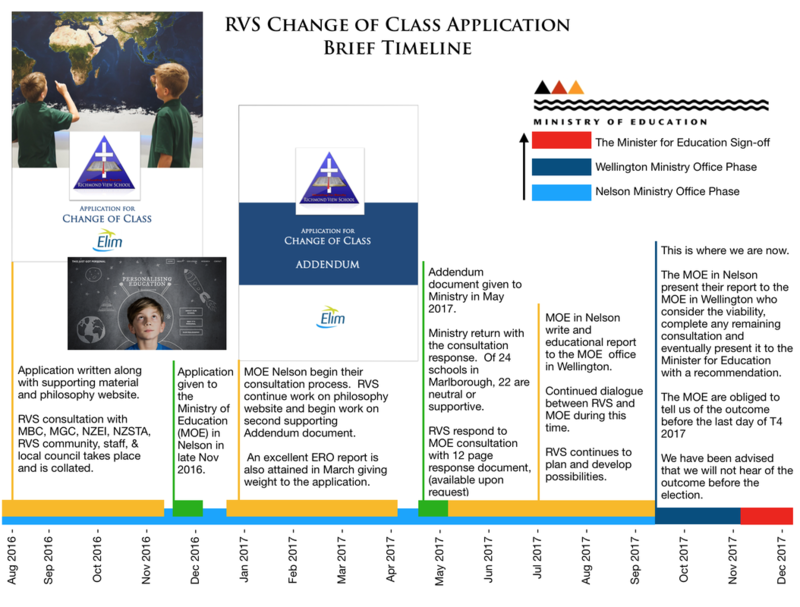 Below is a graphic illustrating how the classes will be laid out from 2017 onwards. The new layout gives us three clear syndicates that will work together. Doors in-between these syndicate classes will aide the already established collaboration between teachers at RVS. The building work will happen in two phases, first construction and interior finishing. This is to allow the classroom to be functional as early as possible. Phase two will be exterior beautification and landscaping. ​The building of this extension and the refurbishment of Room 3 will cause inconvenience and we apologise for this in advance. We will do all we can to keep the impact on student learning to a minimum during the construction process. We hope for the new class to be operational before the beginning of the 2017 school year. I wish to thank the Proprietors and the BOT for their ongoing work on this project. Please feel free to ask me questions regarding the above announcement. One of our first steps will be to develop a student portal that becomes the platform for notices and communication within the school. Our goal is to provide a single sign-on function that will automatically sign students into all their online educational programs. The parent portal will become not only an arena for clear communication of school activities, but also will enable parents to view their child's progress online. Parents will have easy access to important forms and information relating to their child's schooling. A significant aspect of future development revolves around creating indoor and outdoor learning spaces that are flexible, creative, colourful and exciting. Students who are emotionally engaged and motivated achieve much higher levels of learning. The first stage of this has been the development of two themed break-out rooms, designed by students. These are now known as "The Map Room" and "The Hobbit Room". We will notify the RVS Community on progress as we continue to ​​work with the Proprietors to transform our students' learning environments.